Tales from Pollycraft: Well done Andy Murray!! Celebrate with 30% off EVERYTHING and a FREEBIE! Well done Andy Murray!! Celebrate with 30% off EVERYTHING and a FREEBIE! How fantastic was the Wimbledon final yesterday??? I get completely wrapped up in the whole tournament every year... its the ONLY TV I actually get to watch in our house, so I LOVE it!!! 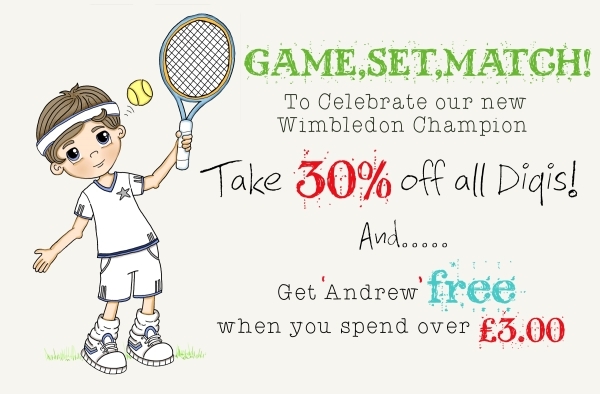 30% off everything in store, and if you spend over £3.00 (before discount) you can have 'Andrew' for free!! Did you also see that I've added some older images to the store now?? 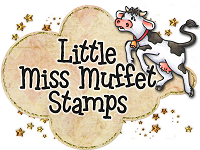 Just wanted to say hi, I recently found your stamps via one of your dt members. I made 2 cards last night using them. Would love for you to come and check them out.